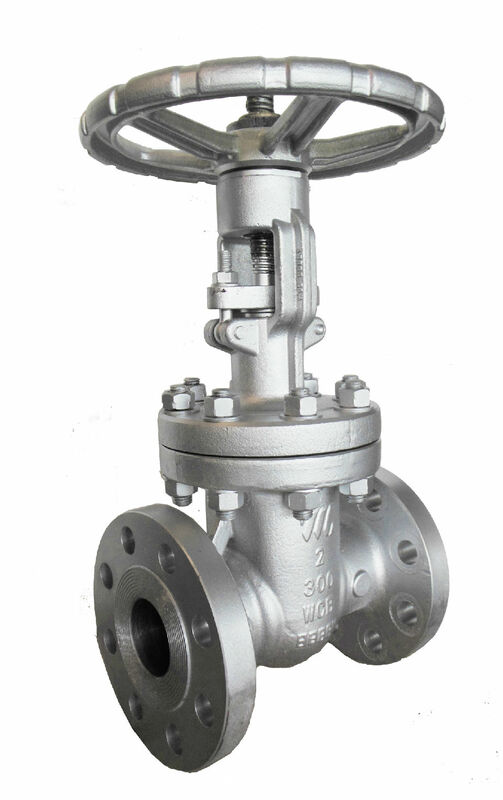 Design andmanufacture: cast steel gate valve conform to API 600(ISO 10434) or API 6D；caststainless steel gate valve conform to API 603 or API 600; forged steel gatevalve conform to API 602. Inspection andtest: API 598, API 600 or API 6D. End Flangeconnection: ASME B16.5(for NPS≤24，ASME B16.47 B series, API 605 orASME B 16.47 A series, MSS SP -44(for NPS＞24). Petroleum, chemical, oil refining, sea oil andpower generation industries. Especially suitable for high temperature, high pressure, lowtemperature, cryogenic, inflammable, explosive environment,and highly toxic mediums. The principle ofwedge type gate valve is when shutting, the due sealing surfaces on the disc coming tocontact with the two sealingsurface of the body, toachieve the purpose of sealing. Compared withsimilar products, it offers smaller torque and ismore convenient in opening/closeing the valve. Use straightthrough structure. Create engery saving by offering optimal degn of the flow path and decrease the medium flow resistance thusincrease the flow volume. Optimize thedesign of runner system, the medium flow resistance is small and the flowcoefficient is large, so it is more energy saving.utilize double sealing cover wedge structure which offer more reliable sealing. In situation where one sidesealing surface is damaged, the other side can still create adequate sealing toensure the proper function of the valve. This function will also extend the life of the valve. The effect of the seal is more reliable. In aparticular situation, if one side sealing surface damage, the other one canstill work properly to ensure valve function, so the service life is longer.